This was reported by the Daily Campus newspaper. The newspaper said the university's dining services are advertising the insects as organic. The bugs are not genetically modified. They are earth friendly. The crickets are high in protein. Plus they are low in fat. They are a source of B vitamins. They are also a source of iron and zinc. UConn is located in Storrs. The university says a farm supplies the crickets. The farm uses carbon dioxide to kill them. Then the insects are roasted. The crickets are sold for 99 cents. They come whole in small plastic containers. The crickets are sold as a snack. Some are used as a taco topping. Two or three containers of crickets are sold per day at the truck. That is according to John Smith. He is the dining services area assistant manager. 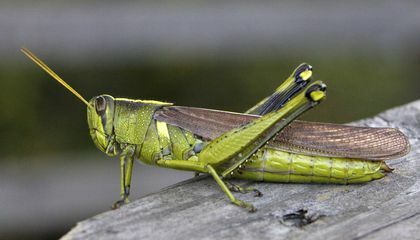 crickets are pretty gross but people haft to eat them every day! 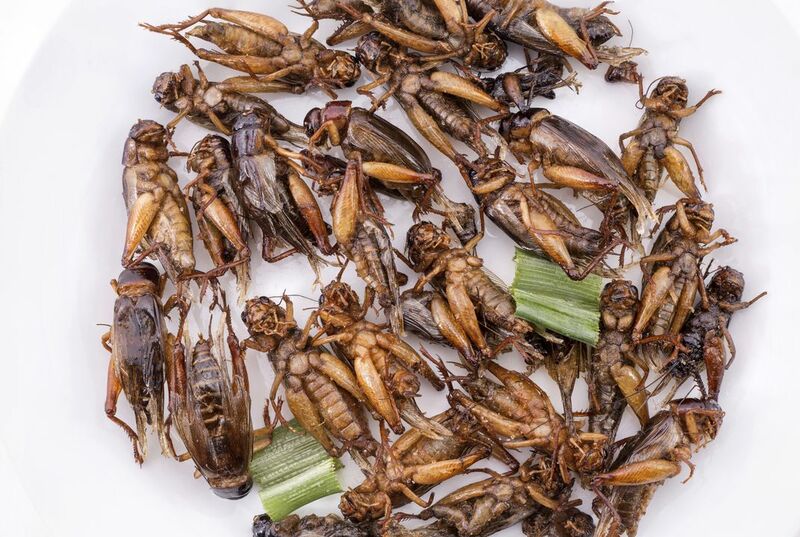 I think that it is good that they are selling crickets because now since I read this article it now makes sense that they are eating crickets. Because its healthy and I think I should try some when I go to a place with crickets. They are advertised as organic because they use only stuff that is natural to the Earth . According to the text, the crickets come from a farm where they have not had any chemicals added and have not been changed in any way. They are all natural. i think there not friendly because they eat our plant and they come a farm and they have not been use much.They are maybe bore and tried.Because they want some fun they have nothing to do that sad. They are advertised as organic, not genetically modified and earth friendly because the author said they are not genetically modified. The insects are advertised as "organic" because the text states that it was reported by the Daily Campus newspaper. The crickets are advertised organic not genetically modified and Earth friendly because it will be healthier so people will want to buy it.